Pallets are easy to find anywhere and you can create so much for your house out of pallets. Some people love gardening and due to the limited space in their boundary they are unable to fulfill their wishes. I love gardening and I am having the same issue so I decided to make pallet herb garden which can be portable and I can make it stand in front of my main gate. It was not hard to make it because I gave it a shape of stairs so it can look like a fancy design. I collected various pallets and joint them together accordingly to give it a stairs shape. 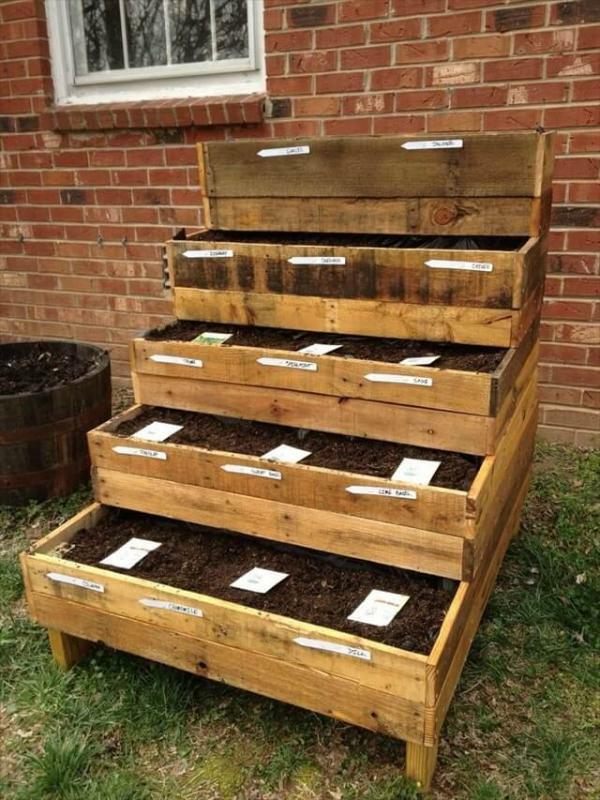 I have filled each stair pallet box with soil and herb seeds. At the bottom, the pallet is plain so that I can easily water the soil. 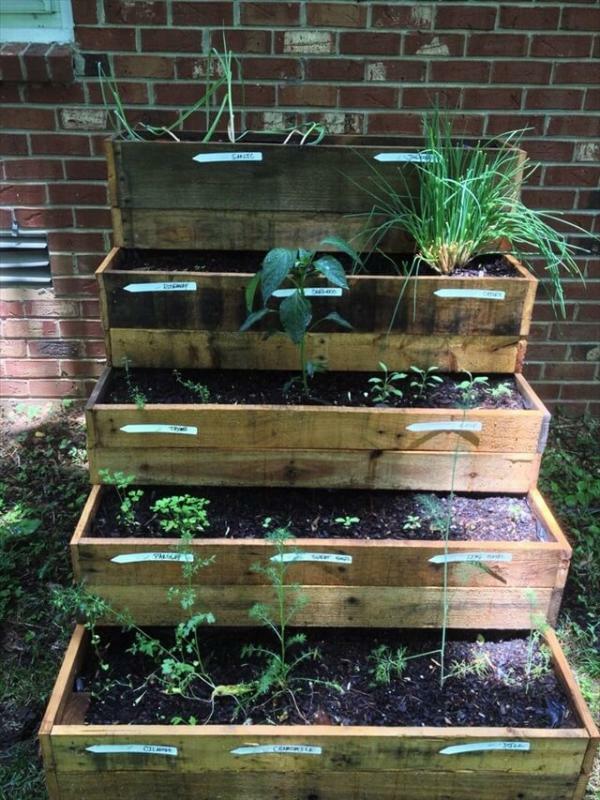 I can move this pallet herb garden anywhere I want in the sunshine or keep it indoor as well. I did not paint it but sandpaper it to give it a natural and edgy look. I love my new pallet herb garden and it grows the herbs perfectly as I expected. It is very simple to make and does not even consume much time so try it on this weekend and enjoy the fresh home herbs right outside your own house. Make a wood pallet herb garden. Idea shared and sent by Sehrish Nida!